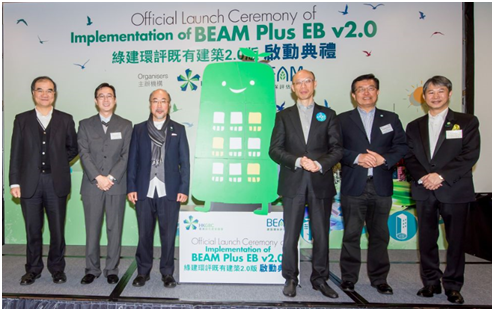 The official release of BEAM Plus Existing Buildings V2.0 (EB V2.0) at the Official Launch Ceremony of Implementation of BEAM Plus EB V2.0 was held on 24 March 2016. 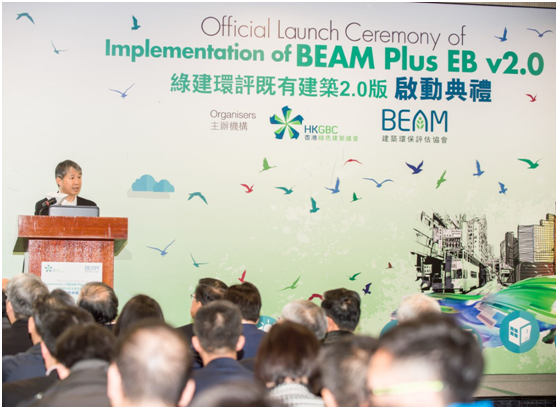 Representatives from over 15 organizations were staged in support of the launching of BEAM Plus EB V2.0. The revamped version was first released in September 2015 for public review. The industry has high expectation in enhancing the environmental performance of Existing Buildings through this assessment tool. 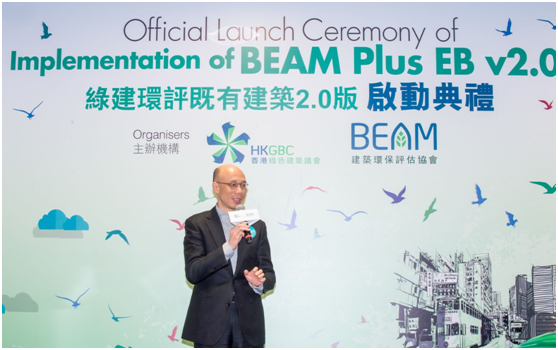 Along with the official announcement of BEAM Plus Existing Buildings V2.0 (EB V2.0), it is believed the new tool can offer flexible and practical energy saving solutions for buildings of different types and ages in Hong Kong. 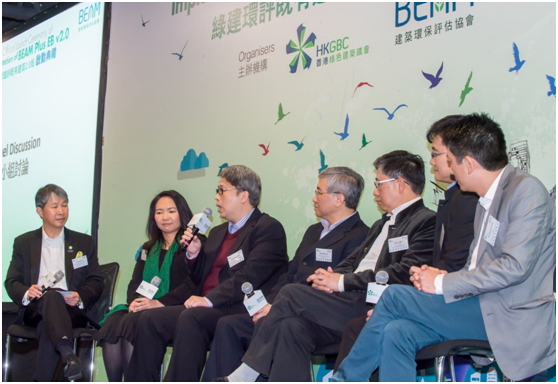 TEEM was delighted to join this ceremony with their clients, celebrating and witnessing the BEAM Plus Assessment Tools’ contribution to the environment and to the sustainable development of Hong Kong.